No refrigerator is completely quiet. When everything is working, you'll hear the hum of the compressor motor periodically as it cycles on and off to keep refrigerant flowing through the coils. You also may hear bubbling noises coming from the coils when the condenser is running. That's usually normal turbulence flowing through the liquid refrigerant. In fact, a refrigerator makes a number of other normal sounds, which include buzzing, dripping, hissing, clicking and clattering. All of these sounds are so quiet you hardly ever notice them. 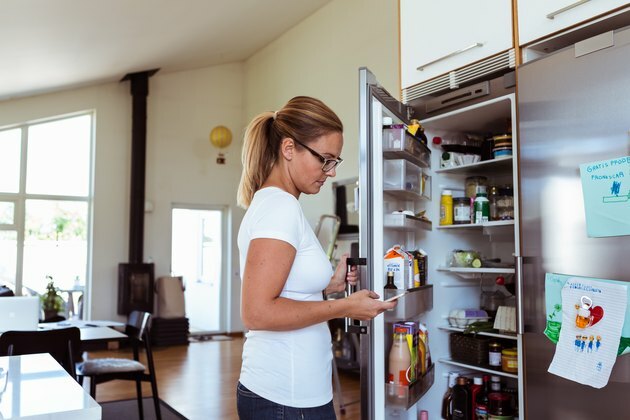 When you hear unusually loud noises, water running or a loud motor, however, your refrigerator could be in trouble, and it might not be keeping your food cold. When you hear the refrigerator cycle on, that's the compressor starting up. Its job is to pressurize the refrigerant in the condenser coil so it will spray through the aperture in the evaporative coil and turn into a gas. That's what provides the cooling a refrigerator offers. The condenser is an electric motor, and even though the manufacturer designed it to be quiet, it still makes an audible hum. The fan that cools the condenser adds to the hum. When the condenser makes more than a humming sound – for example, a loud rattle or a buzzing or grinding sound – that means that it's working too hard, and the cause is usually a worn seal. That isn't a great sound to hear because it usually means the condenser or refrigeration system has to be rebuilt or you need a new refrigerator. Call a licensed appliance pro. It's against the law to service any part of the refrigeration system yourself. If you hear a loud clacking sound coming from the back of the refrigerator, the condenser fan may be loose or broken. It's worth pulling the appliance away from the wall and taking a look because if it turns out the fan blades are loose or broken, you can repair them yourself. What Makes That Dripping Sound? The dripping sound coming from your refrigerator can be disconcerting, but it's usually normal. The refrigerant can make that sound when the condenser stops and refrigerant flows backward in the coils. It can also be the sound of water dripping from coils into the overflow pan in the bottom of the refrigerator, which happens whenever the defrost function is working. Dripping coming from inside the refrigerator compartment isn't normal, though. It indicates a leak in the defrost system, the icemaker or the water dispenser. Speaking of the icemaker, it's responsible for that loud clattering sound you hear every so often. That's the sound of ice cubes falling into the collection tray. Contemporary refrigerators have a complex system of electronic controls that switch power between fans in separate compartments, turn the defrost system on and off and open the water valve for the icemaker. Most of these sounds are momentary, and as long as they stay that way, everything is fine. If any sound becomes noticeably repetitive or loud, however, something is probably wrong. You can usually follow the sound to its source, which may be the control panel, a light bulb or a broken air circulation fan. Whether or not you can fix the problem yourself depends on your skill level and the nature of the problem. It's usually easy to fix mechanical problems, such as a broken fan blade, after unplugging the appliance. Buzzing sounds coming from electronic components are best left to an appliance pro with the requisite testing experience and equipment. If the buzzing is coming from the outlet into which the refrigerator is plugged, you should call an electrician, not an appliance service person. That's usually a sign that the outlet needs to be replaced. When a refrigerator rattles and sounds like something is loose, the problem can usually be traced to plumbing pipes in the back of the appliance that provide water to the ice maker and water dispenser. They're probably touching the coils, which vibrate when the condenser is running. Reposition the refrigerator and the sound should stop. 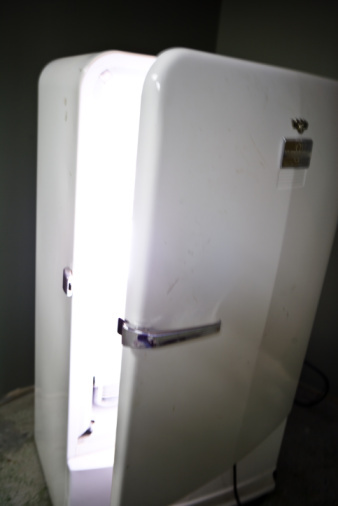 If your refrigerator is vibrating excessively, the problem may be that it isn't level. Set a level on the top and adjust the feet until the bubble is centered in both directions and the vibrations should stop.